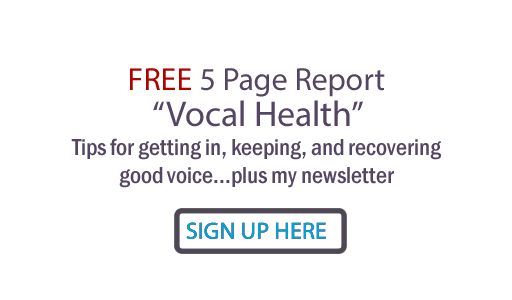 Judy Rodman - All Things Vocal Blog: Stage Fright - What is it? First, let's define the problem. What is stage fright? Wikipedia says it's ..."an anxiety, fear or phobia related to performing in front of an audience or camera. " That's the most simplified definition I could find. There are levels of this problem, from mild anxiety (butterflies - actually can be a great thing) to incapacitating conditions that causes show cancellations and stop careers in their tracks. It's not limited to newbies. Veteran performers are sometimes plagued with it. Carley Simon once passed out in the middle of a concert. George Jones famously anesthetized his with alcohol. Barbara Streisand forgot the lyrics to a song once and then dealt with incapacitating stage fright for three decades. Fortunately, such severe cases are not the norm. I believe that the sooner one deals with a stage fright issue, the less likely will be the length and severity of the problem. So... I intend to explore both my own and others' views and strategies to deal with performance anxiety, and try to shed some light on it for all of us. I am not prone to stage fright. This doesn't mean I'm strong or special, because I have other issues such as no-sense-of-direction which means I can't get around the block without a map, a friend navigator and/or a gps system! Three times I really did have stage fright were the first times I sang on the Grand Old Opry and stood on that ancient circle of wood, the Tonight Show with Johnny Carson, and Farm Aid, where they forgot to introduce me and I had to introduce myself in front of thousands of people. When I played these places again, I didn't experience near the anxiety as the first time. Don't tell anyone you're nervous unless you know they won't play into it with you. If some well-meaning clueless person asks if you are nervous, (like RIGHT BEFORE YOU GO ONSTAGE, ARGHH!! ), dismiss them as quickly and kindly as possible and later, tell them never to ask you that again! And certainly, don't do it to anyone else. Now you know. Play as much and in front of as diverse audiences as possible. As vocal coach Jennifer Rutherford says "perform whenever and wherever you can." This can include friends, your pets, your mirror! The more you do it, the more natural it feels to your automatic nervous system. And don't fear the second time will be as hard. Deal with stage fright as soon as you know you have it. It's like depression... don't ignore chronic conditions; they may grow out of control. Where have you had the worst case(s) of stage fright? What were the circumstances? What has worked for you that you could share? What are you afraid of - dig down and be specific - that you think brings on your performance anxiety? Next post... how stinking thinking can cause stage fright, and how you can change the pattern. Ooooh, I look forward to this post series. USE IT. If I'm feeling nervous, rather than try to fight it or push it down, I accept it and channel it. I put it into my character. Perhaps it fuels her anger; perhaps she's excited; maybe she's really focused. If it doesn't work for my character, I still just don't worry or think about it; there's nothing wrong with being nervous. I accept the feelings and move forward. Of course, I don't have the debilitating stage fright you mentioned earlier in the post. Some things are beyond using mind tricks for. The things that probably make me the most nervous are auditions. Those are where I can start second-guessing myself and end up harming my performance because of it. THANK YOU, Leigh Ann! Great information you're sharing here... "What Works" for you will help others. Anxiety, whether you're in acting, public speaking or singing mode, is quite similar. If singing, instead of channeling to your character, you would channel it into the message of the song. I'll be talking about auditioning as part of the next post.